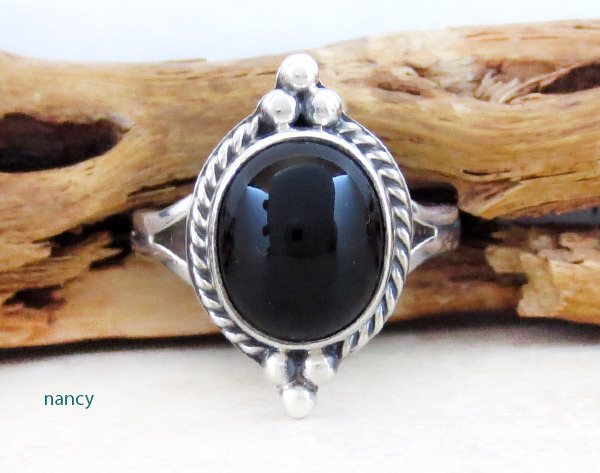 This size 8 1/4 ring was made by Navajo artist Murphy Platero. 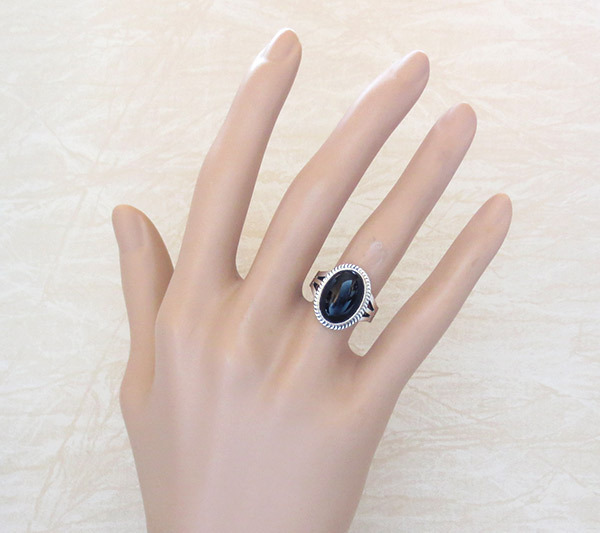 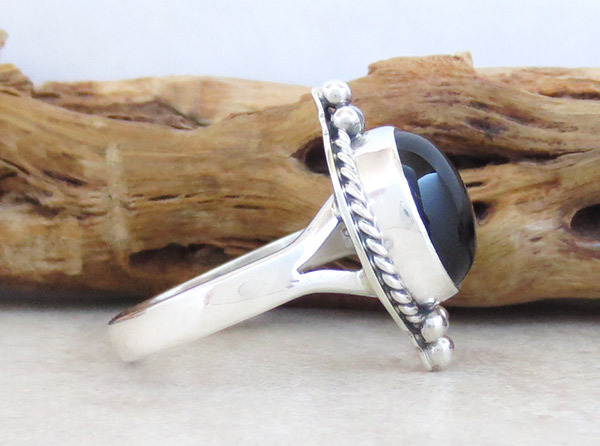 It has a glossy black onyx gemstone set in a smooth sterling silver bezel. 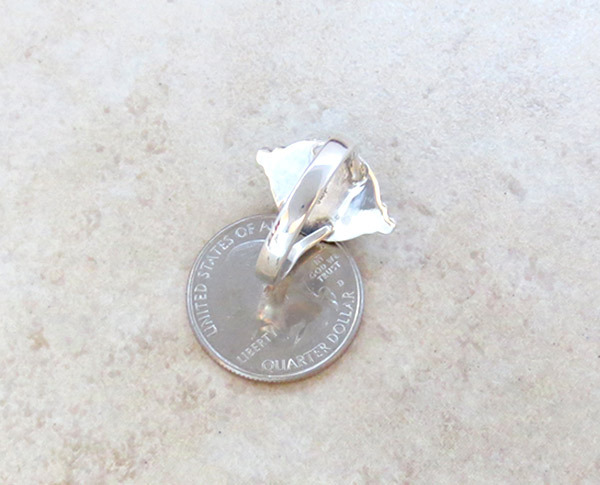 weight: 5.5 grams on my scale.